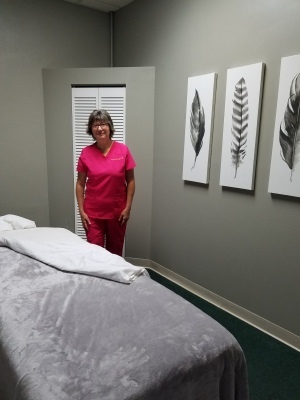 Angela McMullen, has been an esthetician and cosmetologist since 2001. She opened Aura Organic Spa on Miami Avenue in 2010 . Angela is thrilled to expand into massage and wellness with her good friend, and now business partner, Jayne Tracy. Before moving to Venice, Florida, Jayne was the General Manager of Woburn Racquet Club in Massachusetts for 17 years. allergies and feeling generally unwell corporate world as a public practicing in Florida February-March. journey to wellness. 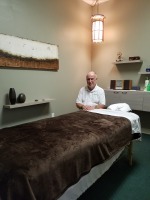 I graduated on the style of massage techniques, I cater sports massage. (Bowen) and Raindrop Therapy using day-to-day grind, I have seen it all. balance and wellness for others.